They've taken over my life! I've noticed that most of my blog posts are about horses, the real ones, and related equine activities and less and less about my sculpting and model horses. It hasn't been intentional, but almost without me noticing I have been exploring other interests in my life and just plain dealing with life in general. I can feel my creative urge to sculpt returning, but slowly, while my obsession with the beauty of horses has not changed at all. 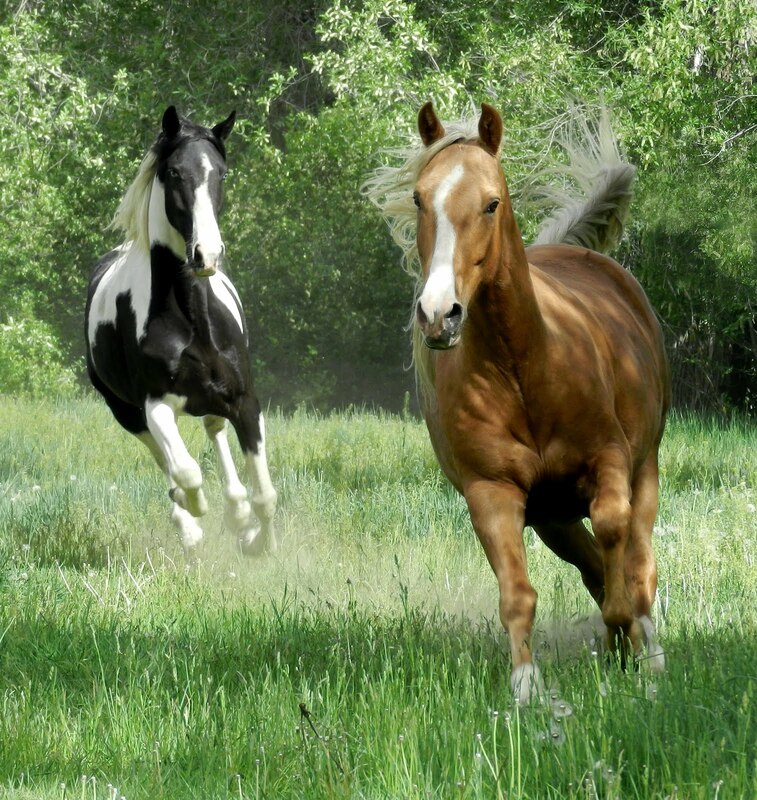 In fact, my 'real' life has become more and more entrenched with horses to the point where I sometimes feel they have taken over our lives and our purpose in life is just to serve them. "Our" herd of four, innocent as they appear dozing in the shade of the barn, are becoming adept escape artists and our lack of reliable equine containment systems (good fence!) is starting to assert itself on the top of our priority list. Well maybe not the absolute top, but close. How can I be angry when they are so pretty? With the riding season getting under way I can't help but remember of how little I could do last year when I had a bout of sciatica. I couldn't ride any real distance until late August. This year my back is holding together, knock on wood. I've ridden 145 miles so far, and hope to get 500 in by November. A few pack trips would be great too, maybe even some trailer camping in new to us areas like the South San Juans or the Lizard Head Wilderness. 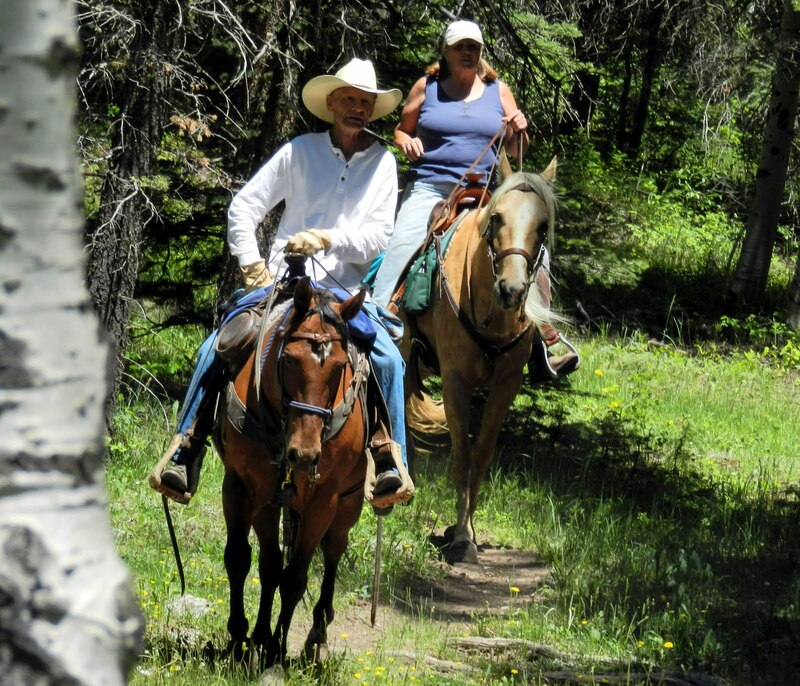 In the midst of my strong desire to do as much trail riding and back country stuff as possible this season is the reality of one of my friend Cindy's husband Jerry battling lung cancer. It is through incredibly good fortune that we picked this lovely area of the state to move to, and that they happened to live right up the road. 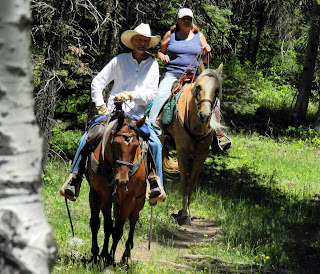 They were exactly the right people we needed to know at the right time in our lives, as adults entering into horse ownership and back country activities. While I knew some stuff, having grown up in a rural area and having ridden horses from age 9 to my 20's, there was a lot left to learn (and still is). There is nothing so helpful as becoming friends with people who know horses, really know them, to help guide you along the way. 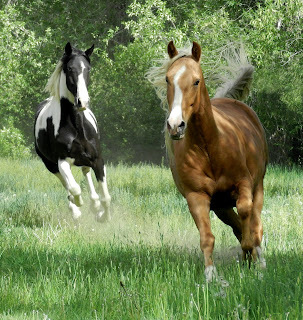 Not the common 'order barking' horse experts found almost anywhere there are horses, but people that truly have an understanding of horses from countless hours and countless horses.